TWO COMPUTERS, ONE SYSTEM The D-Link 2-Port PS/2 KVM Switch (KVM-121) enables you to control two computers using only a single monitor, PS/2 keyboard, and PS/2 mouse. This PS/2 KVM Switch also allows you to listen to music or download files from one computer while having full access to the other computer’s system resources. 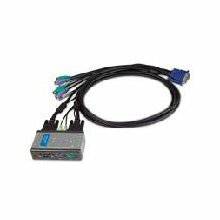 SAVE TIME AND WORK SMARTER Ready to work right out of the box, the KVM-121 requires no drivers or power supply and is compatible with any PS/2 enabled computer. 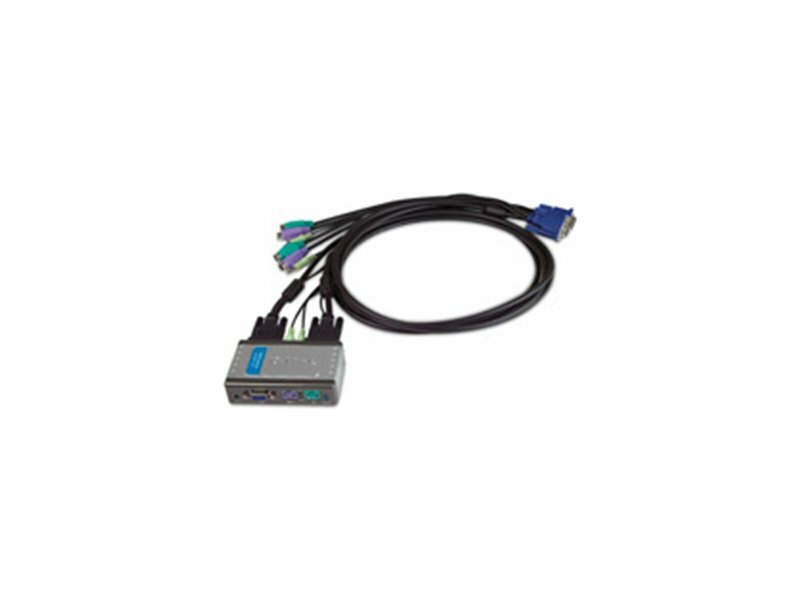 This true plug and play device includes hot swapping capability, allowing you to unplug computers from the KVM Switch without having to power down. EASY SWITCHING AND AUTOSCAN Use hot keys or a push button to switch between computers, or use the autoscan mode to let the device automatically switch between computers at 10 second intervals. 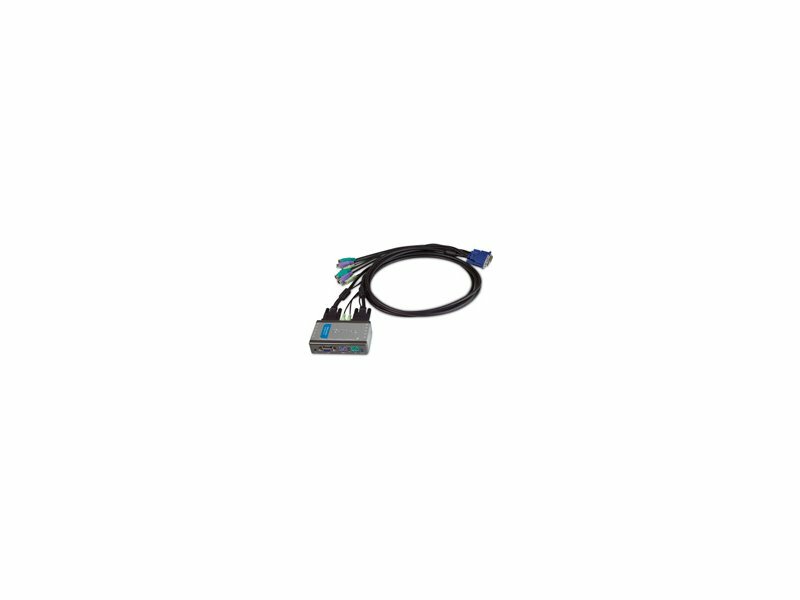 The at-a-glance LED indicators displays your computer status so you can easily determine which computer is active. Versatile, portable, and convenient, the D-Link 2-Port PS/2 KVM Switch with Audio Support can be easily integrated into your existing desktop environment at home or at work. WHAT THIS PRODUCT DOES The D-Link 2-port PS/2 KVM Switch with Audio Support (KVM-121) allows you to control two computers using a single monitor, PS/2 keyboard, and PS/2 mouse. Use the “select” button or keyboard hot keys to easily switch between two computers and perform multiple tasks. 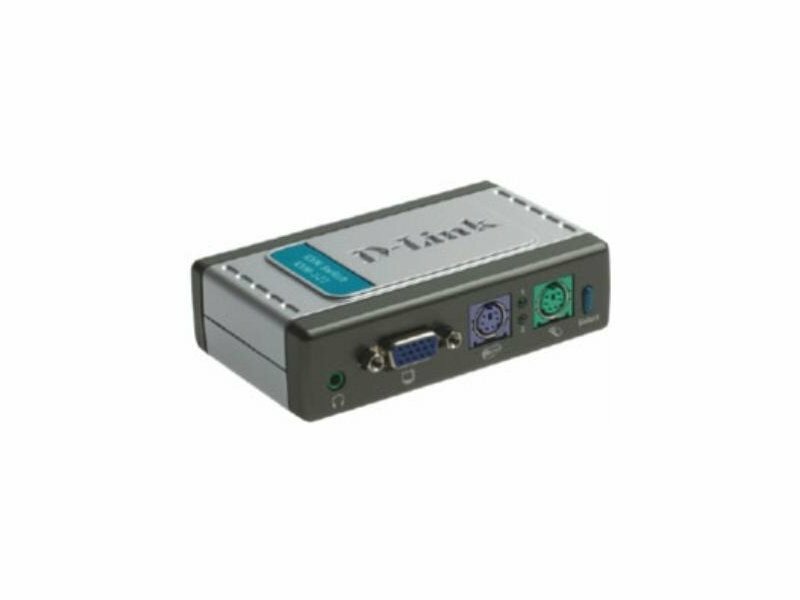 Unclutter your desktop and simplify your workspace with the compact D-Link 2-Port PS/2 KVM Switch with Audio Support. D-Link WILL HELP YOU… The built-in audio support allows you to share a set of speakers with two computers. 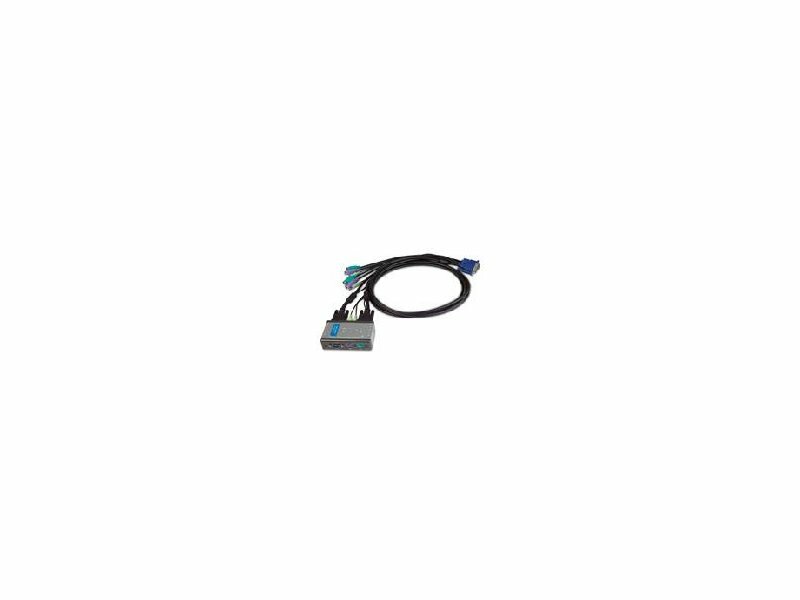 This enables you to listen to Internet radio or voice conferences on one computer while surfing the web or performing other tasks simultaneously on the other. Use one computer as a dedicated music server while having full access to the other computer’s system resources. -Control Two Computers Using a Single Monitor, PS/2 Keyboard, and PS/2 Mouse. -Listen to Music From One Computer While Working on Another. -No Drivers to Install and Nothing to Configure.